It’s Here! The Preseason Top 20 Media Poll! It’s that time again! For your intrepid reporter to act like he knows what he’s talking about . . . Yes, it’s time for America’s Top 20! Oops . . . wrong Top 20 . . . but Casey Kassem was really something back in the day . . . I still listen to his Top 40’s on Sirius 70’s on 7 on the weekend while driving! Well, I’m kind of tired of using the same Let’s Get Ready To Rumble video as the intro so let’s go with something else . . .
How about a more positive thought for those teams that are looking to move up the food chain? From the great 70’s TV show Soul Train with Don Cornelious? Rufus with Chaka Khan and Tell Me Something Good? Kids, this stuff beats Kanye any day . . .
Have to say Lady Gaga really did hit it at Super Bowl halftime, without the silly bashing. So it’s not like I’m stuck in the 70’s ALL the time. Here’s an interesting thought . . . since we do the FHSAA Playoff Bracket Challenge every year . . . why not Fantasy Lacrosse? I doubt our friends in Gainesville would be happy with that one, but after binge watching The League it certainly has a draw to it! Well, before we get to the heart of it all, here’s my annual Disclaimer . . .
And this year I am altering it to include the new Fiduciary Rules that our government spent great glee in coming up with! Senior Writer Lee Roggenburg is out with his third annual preseason Top 20 (since it was a Top 10 the first year) for Florida High School teams. In keeping with the fine new legal tradition of modern society it should be noted the opinions expressed are solely of the author and not the senior management, board of directors, general ledger staff, and all other associated FLN owners and employees. So all digs, barbs, outright annoyances and curt, snarky remarks need to be directed at Lee personally, not the site. Lee’s direct cell phone number is not listed specifically for this purpose but he can be reached at lee@floridalacrossenews.com. We only ask that physical threats and comments on his manhood directed at Lee be limited to 2 per day as that is all his public defender can handle. Lee, as always, is a big believer in pacifism when it personally impacts him. And most importantly, past performance is no guarantee of future results . . .
And to include our new rules . . . I have come up with a way to comply with the BICE . . . Best Interest Contract Exemption . . . for our readers! Those who are heavy readers need to sign up for our Fee-Based reading plan, which will charge you a fixed rate based on last year’s number of words read. Those of you who only check in a few times each week . . . well, first of all, SHAME ON YOU . . . and you will be able to sign up for our Commission-based reading plan, where we will charge you $0.01 for every line you read. Thanks to Wikileaks we are able to use the newest available software to count eyeballs through our new Skype feature to come up with a billed amount. Of course none of this is true but stay tuned to see if the regulators get their way . . .
First off, a review of last year’s Top 20 predictions . . .
#19 – Lake Brantley – can Jake Bernhardt turn it around in year 2 and get the program back to recent glory? In the first semifinal Lake Mary gives Lake Highland fits but LHP pulls out the win with the score somewhere around 8-6 as Lake Mary’s offense falls short. Last year’s semifinal between the two schools was not indicative of the final score. Lake Mary dominated the first quarter and only poor shooting kept them from taking the lead and then the game would have played out differently (not saying Lake Mary wins). In the second semifinal I see Saint Andrew’s playing a similar game to the one we televised last season and SA will pull away in the second half for a 12-6 win. But for the first time in Florida history LHP enters as the favorite in this game . . . (unless their regular season match-up is a lopsided SA win, which I don’t see happening). In the end SA turns the tables on the Highlanders and the championship goes to the Scots by about 3-4 goals as LHP’s offense struggles to score, maybe a 10-6 final. And for the first time in four years we will have a new champion. Really not that bad if you substitute STA for SA (it’s just one ‘T’, just a spelling error . . . ) and Ponte Vedra for Lake Mary . . . oh, you say I can’t do that? And this is how we ended last year . 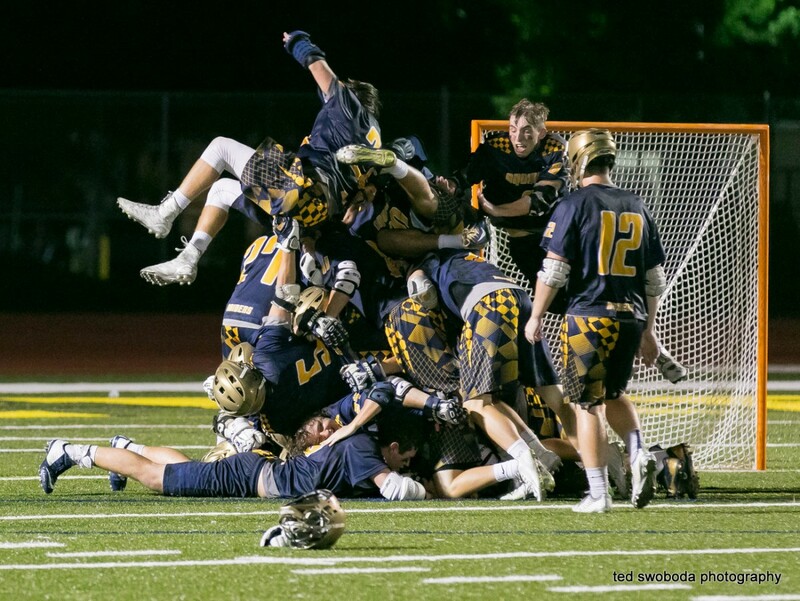 . .
#15 – Belen Jesuit – every time someone wondered they responded. By the way, do I get credit for using a Donald Trump ‘You’re Fired’ clip long before he won the nomination? As for things to think about this season . . . But a brief interlude before that. I believe some of these dancers were in the Troupe that performed on my recent cruise . . . Boys . . . listen carefully . . . if you learn how to dance this stuff even just a little bit . . . you’ll NEVER want for a date. Last season I made an effort to encourage attendance at high school games and I’d like to put that into overdrive this year. This sport has a serious problem in that it seems to keep marketing itself to the same 100,000 die hard lacrosse fans all the time. So here we need to take the bull by the horns and make it happen ourselves, as a lacrosse community. We all know how attractive this game is to watch when well played and the next step is to grab that young kid who DOES NOT PLAY LACROSSE and encourage them to go to the high school games. A few years ago it was common to see young kids with sticks and balls playing around during the halftime. I’m seeing that less and less. Those kids have grown up and have not been replaced at the games. 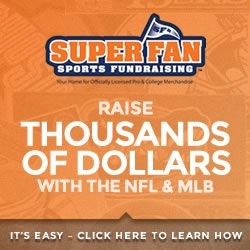 I want everyone who is a fan to make a pledge today . . . Attend three games with one of your child’s friends who does not play. Take them to the game. Talk to them about what you like about the sport. High Schools, I mentioned in the 2nd Season Update, cut the prices or let the young kids in for free. I want to see the crowds I saw at Benjamin and Jupiter, Stoneman and Saint Andrew’s and Oxbridge and STA. And I want to see them ALL OVER. In the Miami area . . . Belen Jesuit, Columbus Catholic, Ransom Everglades and Gulliver Prep are preparing a lacrosse Jubilee. Don’t tell me 1,000 is out of the question for that one. SELL the game. Constantly. To Friends and Neighbors. It will have a lasting effect over time. Fans need to lay off the yelling. I don’t care how much you THINK you know. Only 1 in about 200 fans know the rules as well as the referees do. Let the coach worry about it. You look like fools with the constant crying. Your kids don’t want to hear it either. Here’s a few tips . . . Note that in particular the emphasis is on the blind hit . . . I can’t tell you how many times I here a parent cry that the hit wasn’t that bad and shouldn’t be called. Get over it. Even the NFL has taken away the defenseless hit on the wide receiver. And they’re PRO’s, your kids are not. Learn the rules as they are interpreted, not what you think they are. Note the issue of ‘dangerous shooting (propelling)’ and the simultaneous issue of violating free space while defending. This is where many injuries can occur and I would wager that 1 in 200 fans that attend a Girls game can define it properly . . . I know I struggle with it. By and large the Girls game has less heckling of the referees. Okay, now let’s take a look at the top returning players from last season. Statewide there were 6 All Americans that were not graduating seniors . . .
Let’s throw in . . . Throw in a couple of brothers named Spiker . . .
There’s PLENTY more I can name . . .
Now, on to the Final Four. But first, another highlight from my cruise . . .
Elvis Presley, Johnny Cash, Carl Perkins and Jerry Lee Lewis all in a one night jam session purely by chance . . .
Another awesome show and a historical happening that might have been forgotten forever. Okay, on to Jupiter in April . . .
Once again we have two quadrants that are less deep, one that is getting a lot better and one that is still really difficult. In the upper quadrant we have Ponte Vedra as the reigning quarter-finalist. Lake Mary fell off some and Lake Brantley was able to get past them by one goal in the District Final. Maclay was competitive but didn’t show they could beat PV. Bolles is continuing to improve and only lost to Maclay by 2 goals in the 2nd round. But I just don’t see Ponte Vedra being beaten this early this season, with Maclay maybe giving them the toughest game due to their defensive strategies. But can Maclay score enough to get by them? I don’t see it right now. So let’s take Ponte Vedra over Maclay again for the right to go to Jupiter but don’t be surprised if Bolles sneaks past Maclay to be on the other side of the Final Eight. In the quadrant of Districts 9-16 it is once again Lake Highland but look out for West Orange. A one-goal upset loss in District to Apopka alongside a 13-5 record and now some key transfers from Dr. Phillips, particularly Mikey Berkman, will give West Orange another boost. Not sure they are ready yet for the big time but the intrigue is there. HB Plant and Newsome have both had great seasons the last two years and the issue is can they continue their program growth? LHP lost 9 games last year but just whipped Lake Brantley yesterday so the question of which LHP team we will see is still an open question. When push came to shove last year LHP handled Plant easily at Plant. Until proven otherwise slot LHP back into the Final Four from this quadrant. In the quadrant represented by District 17-24 it is a two-school race and that race is in the same District too. The schools have been trading championships back and forth and there’s no reason to believe that the Benjamin-Jupiter winner does not come out of this bracket. The winner of that district gets District 23’s winner but Benjamin handled Jensen Beach easily last year in the first round. There was no real difficulty with Benjamin going through to the Final Four last year. But this year looks like it might be Jupiter’s turn. Benjamin lost more to graduation and the situation with the home field from the tornado has to have some effect. Gulf Coast and Barron Collier played a one-goal first round game in the Southwest and that might well be replicated. Cardinal Mooney continues to get to the 2nd round but hasn’t gotten further lately and this is really just playing for the right to lose the Final Eight. I’m going with Jupiter to get out of district this year and take the open path to the Final Four this quadrant offers. And then we have 25-32. Last year’s champ STA . . . last year’s #1 for much of the season SA . . . last year’s #3 Oxbridge . . . up and coming Stoneman Douglas . . . and the upcoming Miami programs of Gulliver Prep and Belen Jesuit. Remember we noted this last year? But let’s take a step back and look at something that is VERY possible this year. First Round FHSAA playoff match-ups in the Southeast . . .
And the winners GET TO PLAY EACH OTHER in the second round. That bracket could be a legitimate Final Four this year and no one would blink. In the 1st 2 rounds. In my area! Yippee! Yep, it did happen and it was all it was supposed to be . . .
Once again Belen and Gulliver will play for the right to get to the Final Eight, but no further this year. And once again I will pray they are on SEPARATE DAYS. Because frankly, ANY OF THOSE FOUR CAN WIN THIS BRACKET. Since I took STA this year on the Mike Loveday podcast I’m stuck with that but it was 11 days ago and I really wonder whether I’m right on that. So, we are down to Ponte Vedra and Lake Highland again and STA/Etc. and Jupiter. I’m going to go with Jupiter to upset the survivor (that ringing in the background is Danny Loftus calling me to tell me I’m nuts and he might well be right . . . if Nick also calls I know I am). Just something tells their program might well have something special this season after having so many star players that came up a little short in previous years. And on the other side I am going with Ponte Vedra to again take down LHP as they strive for Tom West’s elusive championship . . . no Tom, 1994 doesn’t count . . .
ONE of the best saves? Given the situation this is THE best save of all time, regardless of the final outcome! And finally, I’m going with Ponte Vedra to pretty much replicate STA’s run last year. Even playing on Jupiter’s home field I see Ponte Vedra finally earning their rings as they follow up an undefeated season with a Final’s loss to winning it all the next season, just as STA did last year. AND MAYBE WE CAN PUT THAT PUBLIC SCHOOL VERSUS PRIVATE SCHOOL BELIEF TO REST . . . PERMANENTLY. Okay, before I unveil the Top 20 going into the season here’s an ode to STA last year . . . The FLN Media Top 20 Preseason Poll!! #1A – St, Thomas Aquinas – I always give the defending champs the top spot until they are beaten. #9 – Maclay – once again, can you possibly schedule a southern weekend next year so I can really tell? #10 – HB Plant – lost some key pieces, will have to prove they can stay here. Schedule is a little light so record should be pretty good. #20 – District 23 – I can’t figure this one out yet but someone will be there. Yesterday’s results make this tough to think . . . Oxbridge slammed Jensen Beach and Martin County routed Spanish River on the road. Maybe Martin County earns that first slot. Saint John Paul II – Andy Bolger always plays a tough schedule. Last year it caught up to him . . . can some of those losses be turned around? Perennial Top 20 program in the past. Buchholz – can the growth in the program continue? Berkley Prep – another good season but not quite there yet, can they get a big win? Get out there and play hard and clean! And PLEASE, take a young kid to a game! NextAH-Boca/Delray 2018 M Colin Sypek Commits to Le Moyne!